Agressive towards others dogs that are not ours? 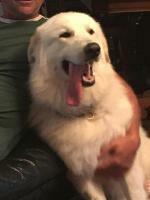 We have a 6 month old Great Pyrenees female named Lucy. We got her for livestock protection after losing some animals to coyotes. Today, our neighbors German Shepherd was walking the fence line on their side of the property and she took off after the German Shepherd. The neighbor caught his dog and I caught Lucy. I asked our neighbor if I could approach him while he held his dog to make an introduction. I petted the German Shepherd to show Lucy her "pack leader" (me) accepted the new dog. However, when I let Lucy sniff the German Shepherd, she snapped. So I did an Alpha Roll and firm low NO and tried again but she snapped again! This is the first sign of aggression I have seen from her. She was raised with a corgi and Labrador so she has plenty of dog experience. She loves playing with them and is never aggressive over food or toys. I am torn on how to approach this. She was correct in patrolling and chasing a "threat" off. That is why we got her! I want her natural instincts to kick in. But how do I teach her what is a threat and what isn't? *The German Shepherd is poorly trained and was being aggressive towards our animals a few weeks ago. Today, the neighbors dog snapped at our Labrador after Lucy chased it through the pasture. However, regardless of another dogs actions, MY dog is to obey no matter what. Or am I holding her to to high of a standard? Comments for Agressive towards others dogs that are not ours? First, NEVER do this insane 'roll'. Your dog does not understand this and never will. All you'll do is create confusion and fear. You are not a pack leader since you are not a dog. You should be a partner with your dog. Support your dog. Your dog is doing what is instinctive to her. You cannot force her to like another dog. She doesn't want other animals near her herd since that dog is not part of your family. Pyrs are independent minded and do their jobs with no human interference. If you wanted an obedient dog whom you could tell her exactly how to do her job, you have the wrong breed. If you want a dog to watch over your herd and do an excellent job, you have the right breed. Your dog doesn't want that GSD near her herd. Accept it. Your dog is living up to a very high standard of the breed. Your Lucy IS doing her job. And doing it correctly. She does not trust the Shepherd, and your Alpha roll reaction was a totally inappropriate response from you. If you want her to be a totally natural guardian, then you must allow her to be the judge of "threat" at all times. Are you sure that the Shepherd has never harassed your livestock? Are you completely sure it was coyotes who killed? Lucy knows. And you humiliated her with your "roll". Besides that, if you understand anything about your Pyr, understand this: they make up their own minds and their own standards are much, much higher than yours. 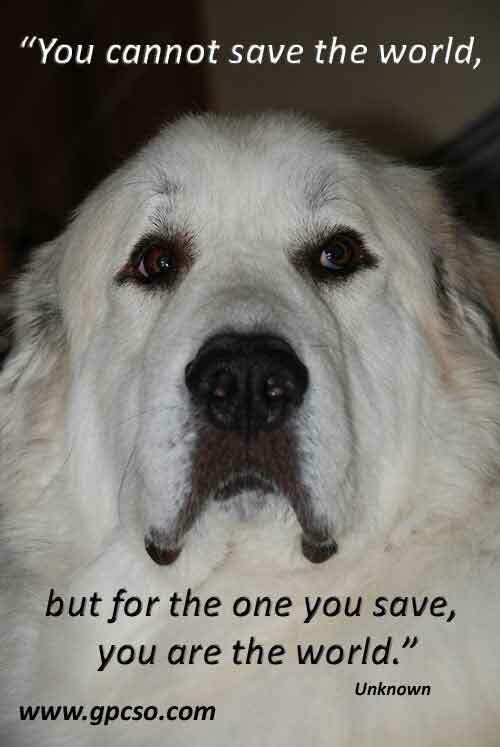 The word OBEY does not compute in a Pyr's mind. Your Lucy is more aware, conscientious, and thorough than you give her credit for. 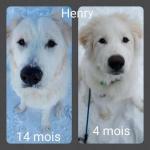 As an after thought: have both dogs been spayed/neutered? If not, that is asking for trouble on both sides of the fence. I hate to say this but here senses were dead on. She is senses the aggression in your neighbors Shepard and she was doing her job spot on. Great Pyrenees have been bred to work on there own without supervision for thousands of years and there senses are amazing. In the eight years with my big man he was spot on every time there senses are incredible. You don't want to change his senses but you want to teach him to respond to your break command I think you will find that the way to go. Thank you to everyone who has commented on my post. I understand that the general consensus is that I should not take an "alpha" roll with Lucy. I get all your reasons. This was recommended as a form of corrective action and apparently a poor recommendation. The reason that I'm posting this here is because I really do care/love Lucy and want the best for her which includes me being an informed owner. After rereading my original post however, I may have not fully explained the situation. So I do want to clarify a few things. First, when I finally caught up with Lucy, she had chased the neighbor's German Shepard all the way back to their house (all the way across their 20 acre pasture). Yes, their dog has also crossed the fence line several times before and I won't speculate on its actions regarding my livestock without any proof. But we do have proof of coyotes attacking animals on our property. Yes we have had her spaded, but apparently that gave her set of balls because she just started "doing her job" She is also 6 months old so I just started allowing her to patrol. Secondly, my reason for trying to "introduce" Lucy to the neighbor's dog was in part trying to show the neighbor that I'm trying to put forth effort to make nice with our dogs. Maybe in hopes they would do the same. Here's the problem that I'm needing help with: how do I teach Lucy that whenever she sees the neighbors dog that it is NOT acceptable to cross the fence line and aggressively chase their dog? How do I teach her natural instincts stop at the fence? I fully understand the comments regarding being Lucy's partner rather than her "alpha", but I simply cannot let her continue these actions. The end game I fear is that she will continue to act upon her instincts and aggressively persue their dog ON THEIR PROPERTY and end up getting shot. Before anyone starts to vilify my neighbors, please understand that they are absolutely within their legal rights to take such action. I refuse to be her "partner" with actions that could possibly get her shot and eventually end all relations with our neighbors. This is NOT an acceptable outcome. My dogs safety is my #1 priority. What should I do with Lucy? Clearly, verbally correcting her seems to be the wrong action based on the comments. Kenneling or chaining her seems counter productive and cruel, since it's not teaching her anything about identifying actual threats and setting boundaries with the neighbors dogs or property. Shock collars and/or invisible fences are cost prohibitive and seem to go against the idea that Pyrenees are independent thinkers that will instinctively do the right thing without supervision. I'm posting on this forum looking for constructive advice from others with pyrenees experience, and any such help would be greatly appreciated. Also, Lucy is only six months old (she'll be ready for spaying now if she isn't already. She needs a neutered male dog in there to relieve her. Normally, these dogs aren't ready to fully work until about 15 months. It's a lot of work for one dog if you have a large herd. You should have been doing some research on this breed first. Sadly, you'll read a lot of nasty stuff about how to train an LDG on the internet. This is for insecure people who think that the 'quick' way is the easiest way. What you'll get in the end is an aggressive dog who will have no respect for you. 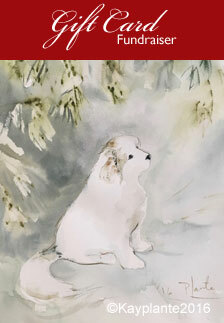 You want to create a bond with your LGD. You need to understand your Pyr and how she works. You need to become a partner with her. 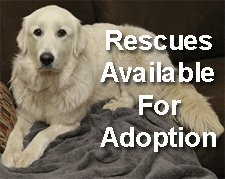 You need to support her because she is doing exactly what Pyrs have been doing for years. She knows her job best. Katie, we get that you are trying to manage your situation the very best you can. But there are some things happening here that are out of your control at the moment, and there is no quick fix for your dilemma. The first being that Lucy is a puppy. 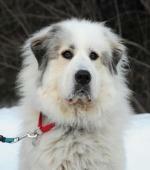 Has all the right genes, but could use the guidance of an older, herd experienced companion Pyr. Specifically, a neutered male. This will give her confidence and steady her. This is especially important if you have a large herd of animals on a large acerage. Lucy needs time to mature (up to 2 years of age) to settle in at her job guarding the herd. For her, the horizon is her fence line. Always will be. It's also her genes, and you cannot "train" this out. And as we know well...the earth is round! Also,to build a perimeter fence high enough to contain her (and the Shepherd next door), an expensive proposition. Perhaps the neighbour and yourself could collaborate on this? But I do think that if both the neighbour and you could relax about the "fence line", your 2 dogs will by themselves and without interference, reach a truce. Both of you need to have some understanding of your dog's character traits at this point. Understand too that Lucy is a pup with tremendous energy, she is alone on her job (you don't count..sorry); she has absolutely no fear but (IMPORTANT!) will not do anything more than to neutralise a threat. She is not a killer. But a challenge from a threat animal or a fearful human will not scare her off either. Chasing the Shepherd all the way home across the 20 acers, was a mere romp for her. What was really important about that is, what did she do when he stopped running and what was the reaction of the neighbour? Most likely Lucy stood her ground and yelled at the Shepherd. If he had then submitted to her authority, she would have left, satisfied. If his human then came out and hollered and acted threatening, well, she probably yelled at him too! And that could possibly create a huge misunderstanding, humans not being very good at submitting to a mere dog. Shooting her would be a hideous overreaction based on pure ignorance. Perhaps, Katie, you have the right dog but the wrong neighbour. 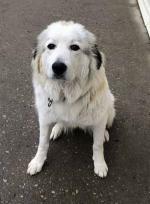 Both of you need some serious instruction from an experienced guardian dog trainer on Pyr ettiquette, if your wish is to succeed with Lucy. If you cannot do this, prepare yourself for a ton of leashed walking with your dog as she will never reliably stay on your side of the line, without a very high fence in place. The neighbour needs to understand that she will willingly guard his property also, if he was less line-obsessed. Hope this helps. Do keep in touch with this site as we are all committed to the welfare of this wonderful breed. You seem to intellectually understand what is being said but , as always, putting theory into practice is not always easy. First of all, your girl is just a puppy yet and although she is doing her job right, as in all youth whatever the species, she does not always have perfect judgement. You can't expect that of her. You have a lot of work to do with her so that she develops the complete skill set. She will be a puppy until she,s about 12 months old and a teen until she,s 0 to 24 months. You have to work with that. and yes, as everyone has mentioned, the alpha roll is a complete and absolute 'not' for a Pyr of any age. I'm trying to figure out how to write you an extended missive without putting it on here becaseu I have to say things that are pertinent to your specific situation and not the generalities that this Q-A deals with. Could you send your e-mail address to the questions section here or to glofchem@yahoo.com so that I can deal with this more adequately. She has the expertise in this field. Right now, your dog is very young. Marianne will be able to help you out. For some reason, she is unable to make comments on this page.